Employers interested in hiring military veterans are increasingly using the “military friendly” or “veteran-friendly” labels to promote their organizations to job-seeking veterans. The terms, while inviting to veterans, lack definition and consistency across organizations, leading to ambiguity about what it means to be military or veteran friendly. The themes uncovered in our research suggested an emphasis on early career transitions for veterans entering the job market. In this webinar, we will briefly review the research findings and discuss how organizations can demonstrate their friendliness toward military veterans using the research findings to guide organizational changes. Employers interested in formalizing or advancing their support of veteran hires can look to the study’s findings as a reference for currently-recognized military friendly organizations. This webinar offers an introduction into veteran transition issues, explores foundational descriptions of military friendly, and provides a series of implications for future veteran support. Additionally, based on the findings, the authors provide a framework and working definition of “military friendly” organizations. Human resource practitioners are uniquely positioned to evaluate, recommend, and implement programs that make business organizations more effective. Although hiring veterans is a priority today, political agendas and societal obligations shift. Research on how veterans are positively contributing to the workforce could help inform organizational about whether to retain current programs and may spur development of additional employer support. Michael Kirchner is an Assistant Professor of Organizational Leadership at Purdue University-Fort Wayne, and teaches courses in leadership, training, and human resource development. Previously, Michael was the first director of the University of Wisconsin-Milwaukee’s Military and Veterans Resource Center where he oversaw programming for the campus’ 1,000+ student veterans. Under his leadership (2014-2016), the campus built a nationally-recognized program for student veterans, highlighted by a ‘military-college-career’ framework. 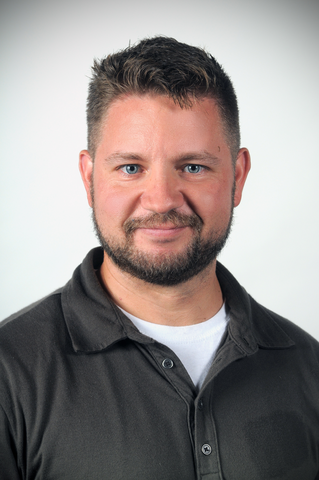 Michael is a US Army veteran, having served in Baghdad, Iraq from 2004-2005, and is co-founder of UW-Milwaukee’s Student Veterans of America Chapter. Michael earned his Ph.D. in Human Resource Development from the University of Wisconsin-Milwaukee and currently serves as the NASPA Student Affairs Administrators in Higher Education Region IV-East Veterans Knowledge Community representative and Steering Committee member of the Academy of Human Resource Development’s Leadership SIG. His research on veteran career transitions, military leader development, and leadership development methods has appeared in several journals including Human Resource Development Quarterly, Industrial and Commercial Training, Advances in Developing Human Resources, Journal of Military Learning, Journal of Veterans Studies, and Adult Learning Journal. Sarah E. Minnis, PhD is an Assistant Professor in the Master of Science in Human Resources program at Western Carolina University. She has over 25 years of higher education administration, career advising, and organization development experience with more than 12 years specifically addressing veterans’ reintegration, career development, and sustainable employment. Sarah's ongoing research and practice is in helping higher education and employment communities better understand the value and more effectively utilize the talents of veterans. Sarah has published and presented nationally and internationally on her research and practice. Sarah has served as a member of the Scholar Practitioner Special Interest Group Steering Committee and Chair of the Scholar Practitioner Special Interest Group. Sarah currently serves as Co-Chair of the Scholar Practitioner Special Interest Group. Sarah is Co-Editor of International Journal of HRD Policy, Practice & Research as well as Editorial Board member for the Journal of Veterans Studies and Advances in Developing Human Resources. 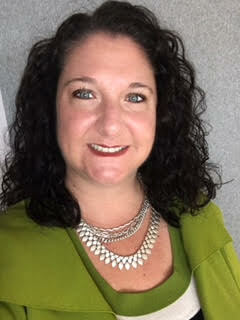 Sarah holds a PhD in Human Resource Development from Texas A&M University, a Master's degree in student affairs from Western Kentucky University, and a Bachelor's degree in psychology from Central Washington University.